A University of Toronto PhD student has found that a little-known exoplanet called K2-18b could be a “super-Earth,” and in the process discovered a new planet in the same solar system. 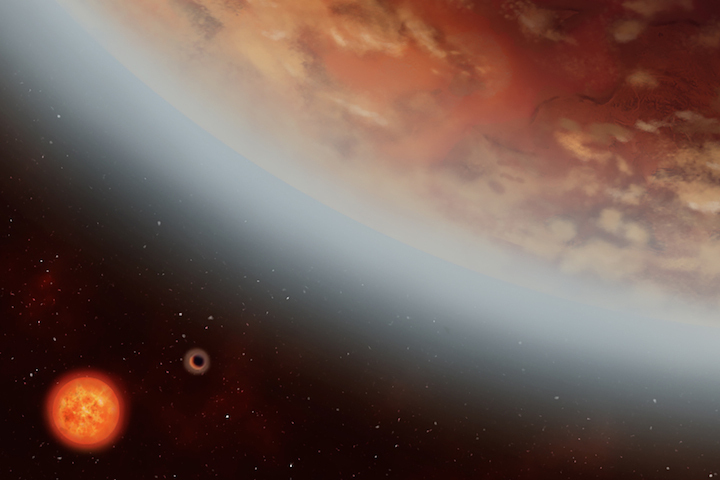 The researcher, who had set a goal to discover a new exoplanet for his thesis, made the discovery by scouring data collected by the European Southern Observatory (ESO). 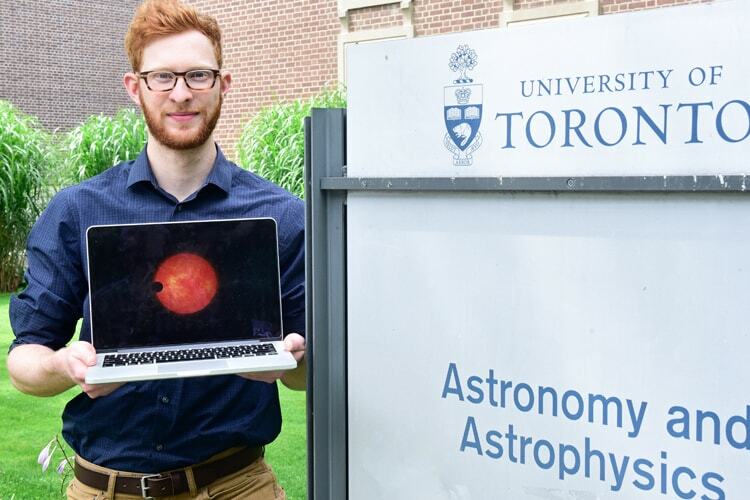 “Being able to measure the mass and density of K2-18b was tremendous, but to discover a new exoplanet was lucky and equally exciting,” says Ryan Cloutier, a PhD student in U of T Scarborough’s Centre for Planetary Science, U of T’s department of astronomy and astrophysics in the Faculty of Arts & Science and the Université de Montréal Institute. Both planets orbit K2-18, a red-dwarf star located about 111 light-years away in the constellation Leo. When the planet K2-18b was first discovered in 2015, it was found to be orbiting within the star’s habitable zone, making it an ideal candidate to have liquid surface water, a key element in harbouring conditions for life as we know it. The dataset used by Cloutier, the lead author, and other researchers came from the High Accuracy Radial Velocity Planet Searcher (HARPS) using the ESO’s 3.6-metre telescope at La Silla Observatory, in Chile. HARPS allows for measurements of radial velocities of stars, which can be affected by the presence of nearby planets, to be taken with the highest accuracy currently available. The instrument makes it possible to detect very small planets orbiting those stars. In order to figure out whether K2-18b was a scaled-up version of Earth (mostly rock), or a scaled-down version of Neptune (mostly gas), researchers had to first figure out the planet’s mass, using radial velocity measurements taken with HARPS. “If you can get the mass and radius, you can measure the bulk density of the planet and that can tell you what the bulk of the planet is made of,” says Cloutier. After using a machine-learning approach to figure out the mass measurement, Cloutier and his team were able to determine the planet is either a mostly rocky planet with a small gaseous atmosphere – like Earth, but bigger – or a mostly water planet with a thick layer of ice on top of it. The James Webb Space Telescope, which will be launched in 2019, will be instrumental in collecting a range of data for studying the solar system, early universe and exoplanets. “There’s a lot of demand to use this telescope, so you have to be meticulous in choosing which exoplanets to look at,” says René Doyon, a co-author on the paper who is with Université de Montréal Institute and a principal investigator for NIRISS, which is the Canadian Space Agency instrument on board the James Webb Space Telescope. It was while looking through the data of K2-18b that Cloutier noticed something unusual. In addition to a signal occurring every 39 days from the rotation of K2-18, and one taking place every 33 days from the orbit of K2-18b, he noticed a different signal occurring every nine days. “When we first threw the data on the table we were trying to figure out what it was. You have to ensure the signal isn’t just noise, and you need to do careful analysis to verify it, but seeing that initial signal was a good indication there was another planet,” Cloutier says. Cloutier collaborated with an international team of researchers, including his supervisor U of T Scarborough Associate Professor Kristen Menou, and from the Observatoire Astronomique de l’Université de Genève, the Institute for research on exoplanets (iREx), Université de Grenoble and Universidade do Porto. While the newly described planet K2-18c is closer to its star and probably too hot to be in the habitable zone, like K2-18b it also appears to be a Super-Earth meaning it has a mass similar to Earth. The research, which received support from the Natural Sciences and Research Council of Canada (NSERC) and the Institute for Research on Exoplanets, will be published in the journal Astronomy and Astrophysics.